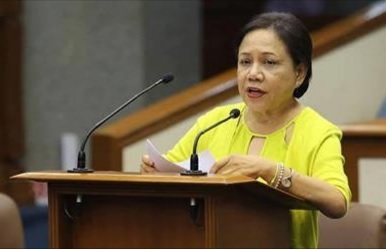 Senator Cynthia Villar has recently filed a bill that if approved, will greatly benefit the more than 12 million Filipino overseas. Dubbed as the country's modern-day heroes, OFWs remitted a total of $25.76 billion in 2015, representing about 9.8% of the country's gross domestic product (GDP). Yet with so much contribution to the country's economy, OFWs still air a lot of complaints about the government's lack of attention to their problems and needs. Senator Villar hopes to address the problems of the OFWs with Senate Bill 146 or the "Department of Migration and Development Act of 2016". The said department will "recommend and implement the government's policies, plans, and programs for the promotion of protection, safety, development, support of and for Filipinos overseas and their families left behind," according to the Senate's press release. Under the bill, around 14 bureaus, offices, and agencies from different departments will come under the newly created Department of Migration and Development. POEA and OWWA will also be attached for policy and program coordination. According to Villar, "It is timely and appropriate to create a government agency in the executive department, which shall have the exclusive function of protecting and enforcing the welfare and rights of Filipinos overseas. We need an empowered agency that will adequately support and give assistance to them." A P1-billion Special Assistance Revolving Fund is also being sought by the bill, for documented as well as undocumented Filipino migrants. The fund will be used to assist migrants with several problems like emergency repatriation, medical expenses, legal assistance, and others. Part of the fund will be used for putting up One-Stop Migrant Processing and Assistance Centers in all major towns and cities all throughout the country to provide relevant services to migrant Filipinos and their families. It's about time that Migrant Filipinos and OFWs have one Department that will tackle all of their needs. They have been contributing so much to the Philippine economy for decades. Let's give our modern-day heroes the benefits and services they deserve.